We all carry around those little bottles of lotion, but when one leaks it can lead to disaster. 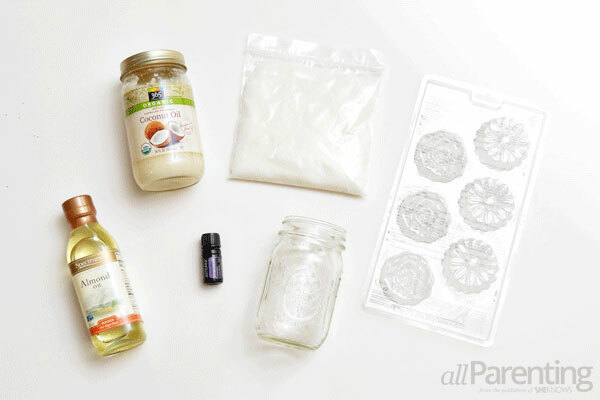 Keep those dry, cracked winter hands moisturized without all the mess with these cute DIY lotion bars! 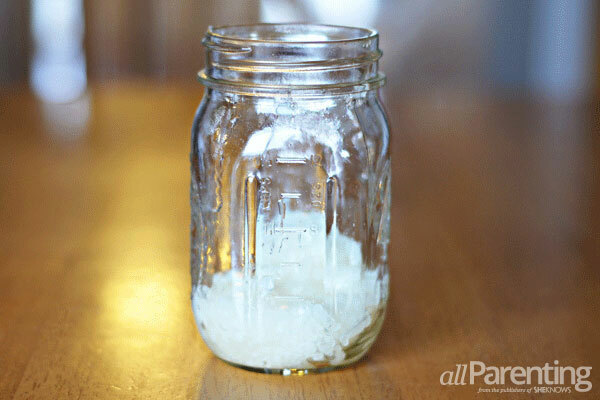 Fill the Mason jar with 4 ounces of coconut oil. 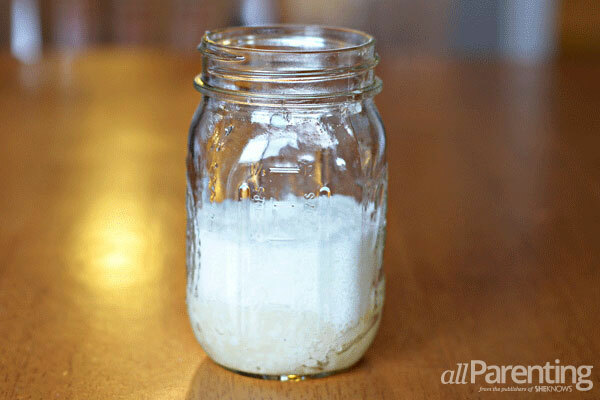 You can use the measuring lines on the side of the Mason jar as your guide. Tip: The Spectrum brand refined coconut oil does not smell like coconut. 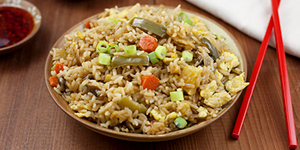 Add 4 ounces of beeswax pellets on top of the coconut oil. 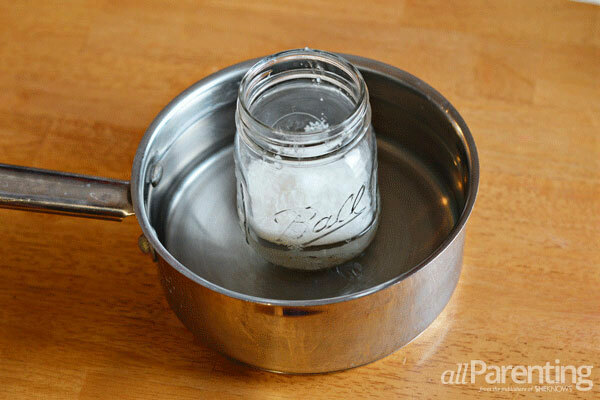 Place the Mason jar in a pot and fill the pot with water to create a double boiler. 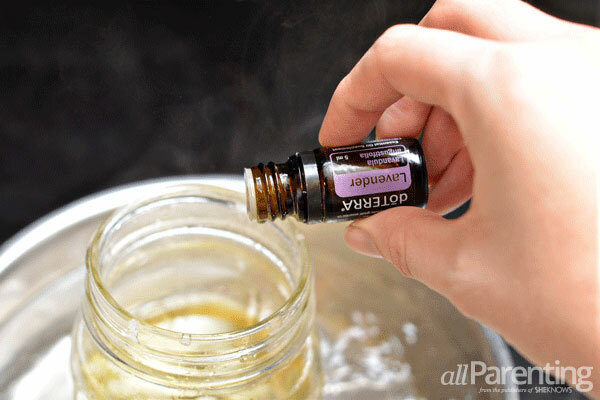 Boil the Mason jar on the stove until the beeswax and coconut oil are completely dissolved. 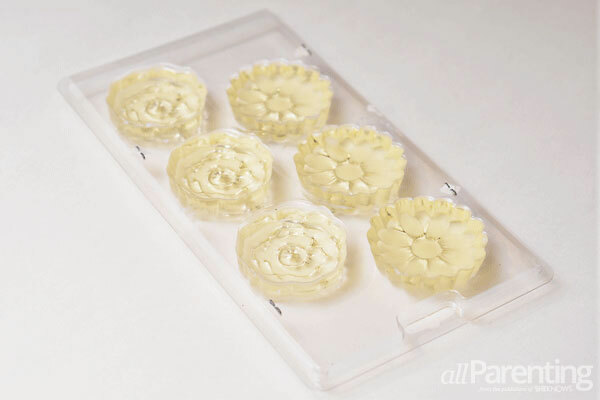 Carefully pour the mixture into the candy molds. You can leave the candy mold out on the counter to harden overnight, or you can speed up the hardening by placing it in the refrigerator. 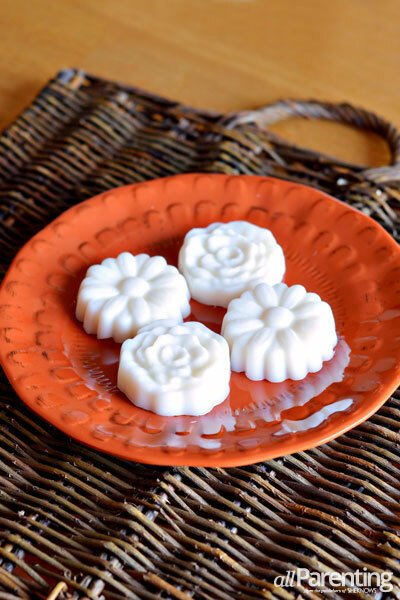 Once the lotion bars have completely solidified, pop them out of the candy molds and your DIY lotion bars are ready to use!